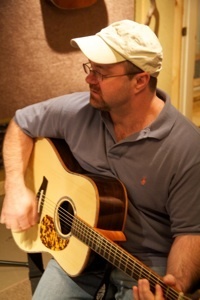 Tom is the owner of Blue Ridge Music LLC, instructor of stringed instruments and vocal improvisation. He is also a member of The Foxfire Boys since 1982. Tom is a native of Rabun County and currently lives with his wife Kelly in the Persimmon community. Tom attended Kennesaw State University, Piedmont College, and Texas Technical University. He received a B.A. in education specializing in math and music and an administrative credential. Tom began his career as an interim math teacher at Rabun County High School in 1991. In 1992, he took a position with Ninth District Opportunity as a Curriculum Specialist, and then moved to the Ninth District Opportunity central office in 1993 as a Program Specialist and staff trainer. 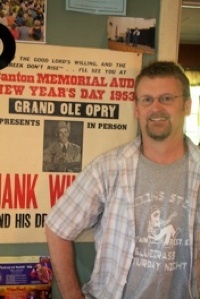 Following his true passion, he left Ninth District Opportunity in 2002 and began building a client base for music lessons and eventually founded Blue Ridge Music in September 2005. Dean is a vested partner in Blue Ridge Music, LLC. He is a music instructor, handles instrument repairs and many other duties at the store. He is an original member of The Foxfire Boys band. Dean attended Rabun County High School then Kennesaw State University and worked 16+ years across the southeast in the environmental field and taught banjo in Marietta, Ga. Dean grew up around music on both sides of his family. At Rabun County High School, he attended many Foxfire classes including the music class where he met other members of the Foxfire Boys band. Dean now resides in the Persimmon community of Rabun County with his wife and children. Chris Miller has been actively involved in the music world for many years in several capacities. He takes a multi-disciplinary approach to blending technology, creativity and learning into a cohesive approach required to thrive in music as a career these days. He holds a Associate of Fine Arts in Music Degree, a Dual Diploma in Computer Information Systems, and attended the prestigious Berklee College of Music Boston, studying music theory, guitar, and ear training. Chris is a master guitarist and has published two instructional books on guitar improvisation, and written others (soon to be published). Chris has taught guitar since 1986, and especially utilized a more organic, holistic approach to guitar, creativity and learning that is especially geared to the learner. Chris operates the Recording Service at Blue Ridge Music, acts as engineer, musician, and consultant in disciplines related to creative projects. Chris also operates his own publishing company & consultancy which specializes in unique learning and creative projects. Through a special partnership with Blue Ridge Music, all of the products and services his company, Double Planet, Ltd. Co. offers are available locally exclusively through Blue Ridge Music Academy. Music has always been very important and influential part of Lisa’s life. At the age of 3, Lisa began to learn how to play to piano and was classically trained for 10 years. She also learned to play the guitar at a very young age and began to perform as a solo vocal artist. This soon lead to other musical opportunities, and soon Lisa was singing at churches, weddings, small local fairs, private functions and in local bands. Currently, Lisa performs as Mountain Hoodoo with her husband Steve playing traditional, mountain and folk music at local festivals, restaurants and special events. 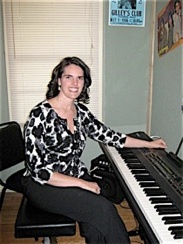 Lisa began teaching at Blue Ridge Music in 2006. She teaches beginning piano and rhythm guitar to students of all ages, and specializes in teaching beginners and early learners. Jill Justice Hunter began music at an early age. 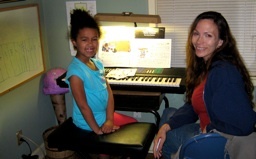 She began playing piano at age 5 and grew up singing in church and school. She attended Rabun Gap Nacoochee School, where she participated in various band, chorus, and jazz ensembles. Jill attended Troy State University and later transferred to Piedmont College. Jill graduated from Piedmont College as a voice major with a M.A. degree in Music Education, and received many music awards along the way. Currently, Jill is the music teacher at Rabun County Elementary School. She resides in Rabun Gap with her husband Toby and their children. Jill continues to sing with her family southern gospel group, True Believers. She is available for piano, voice, or brass lessons.